I don’t know what is was, but this week positively dragged! And even worse, I got very little writing done. Hopefully I’ll be able to make some of that up this weekend. My goal is to have my first draft finished by August 13th so that I can start editing in September. I think we might go see Inception this weekend too – I can’t wait! 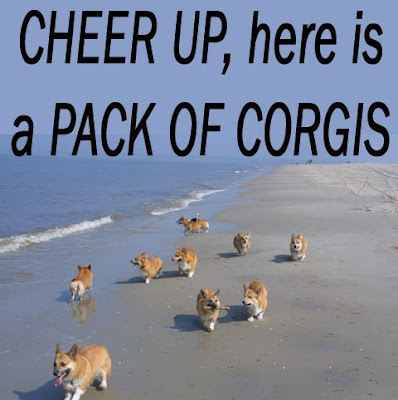 So in honor of it finally being Friday, I leave you with this picture. 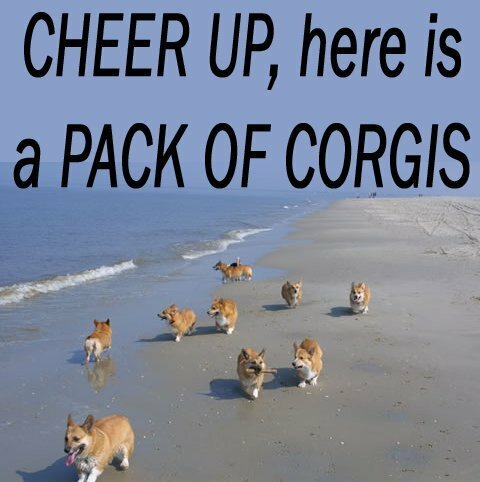 How can you not smile at a pack of Corgi? LOL! That's a great site! Dogology the Album – HA!